We’d love your help. Let us know what’s wrong with this preview of 52 Rivers by Shelley Walchak. Shelley Walchak is a librarian by trade, but she is an angler at heart. Fly-fishing is a late life discovery for her, but she intends to make up as much time as possible. Walchak gave up her job at the Colorado State Library to fly fish a river a week for a year. She bought and outfitted a camper, purchased camera equipment and a computer and hit the road. Her photographs Shelley Walchak is a librarian by trade, but she is an angler at heart. Fly-fishing is a late life discovery for her, but she intends to make up as much time as possible. Walchak gave up her job at the Colorado State Library to fly fish a river a week for a year. She bought and outfitted a camper, purchased camera equipment and a computer and hit the road. Her photographs and blog posts of her journey became the book 52 Rivers. 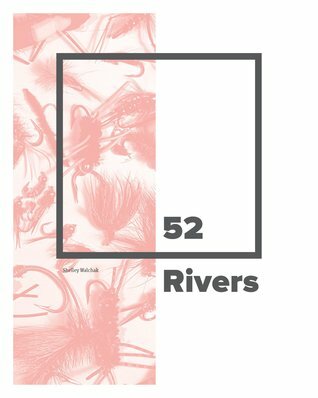 To ask other readers questions about 52 Rivers, please sign up. Though I read bits and pieces of this story when it first came out, I decided this year to read it week by week following her story each week of the year, often reading aloud to my spouse as we use to live in New Mexico/Colorado and use to fly fish many of these rivers! Shelley Walchak is a librarian by trade and an angler at heart. In 2013, she fly-fished a river a week, blogged and wrote essays, hoping to inspire others. In 2014, she wrote a book about the adventure called 52 Rivers: A Woman's Fly Fishing Journey. Fly fishing was a late life discovery for Walchak, but she intends to make up as much time as possible. Walchak was inspired to take her 52 Rivers jou Shelley Walchak is a librarian by trade and an angler at heart. In 2013, she fly-fished a river a week, blogged and wrote essays, hoping to inspire others. In 2014, she wrote a book about the adventure called 52 Rivers: A Woman's Fly Fishing Journey.